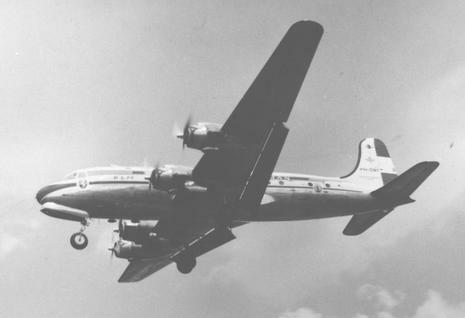 Cubana de Aviación Flight 493, registration CU-T188, was a Douglas DC-4 en route from Miami, Florida, United States, to Havana, Cuba, on April 25, 1951. A US Navy Beechcraft SNB-1 Kansan, BuNo 39939, was on an instrument training flight in the vicinity of the Key West, Florida Naval Air Station (NAS) at the same time. 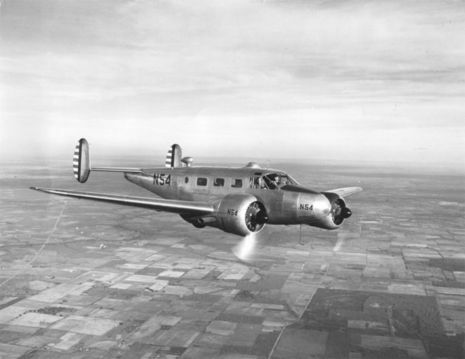 The two aircraft collided in mid-air over Key West, killing all 43 aboard both aircraft. Forty-three persons were killed yesterday when a Cuban DC4 airliner and a U.S. Navy training plane collided over Key West, Florida, and plunged into the sea. Parts of the shattered Cuban airliner which carried 39 persons to death in a collision with a Navy plane occupied by four fliers were raised from the Atlantic Ocean off Key West today and for the first time Navy salvage crews reported finding the major parts of the Navy plane. Twenty-three bodies, torn or mangled by the crash at 5,000 feet and then by the impact with the water, were recovered by mid-morning.